Australia has for the first time moved to the top of the buy list for cross border investors in Asia Pacific according to CBRE’s Investor Intentions Survey 2016. The report analyses the outlook and appetite of APAC real estate investors for the rest of the year. It shows that overall buying intentions remain positive with around 80% of survey respondents indicating they plan to buy at a similar level to, or more, than 2015. Australia is in poll position, with 25% of cross border APAC investors viewing Australia as most attractive destination for their capital. Australia leapfrogged Japan to take out the lead ranking, up from 2nd place last year. Collectively, Australia, Japan and China were favoured by 60% of respondents as the top three investment markets in the APAC region. Sydney led the city rankings and was nominated by 15% of respondents as the most popular city for investment – or par with Tokyo and ahead of Shanghai. CBRE Head of Research, Australia, Stephen McNabb said the findings were supportive of another strong year for investment in the Australian commercial property market. “With APAC accounting for three quarters of the capital inflow to Australian real estate last year, this means we can once again expect firm investment volumes in 2016. Chinese and South Korean investors both expect to remain net purchasers this year, which will ensure continued strong inflows from these particular markets,” Mr McNabb said. CBRE’s Pacific Executive Managing Director, Capital Markets, Mark Granter noted that South Korean investors had become increasingly active in Australia’s commercial property market last year, with the total investment from South Korea having doubled in the past 12 months. This included Inmark Asset Management’s $336.45m acquisition of the Woolworths headquarters in Sydney’s Bella Vista and FG Asset Management’s acquisitions of the ATO buildings in Box Hill and Albury and the Louisa Lawson Building in Canberra for a combined total of just under $450m. 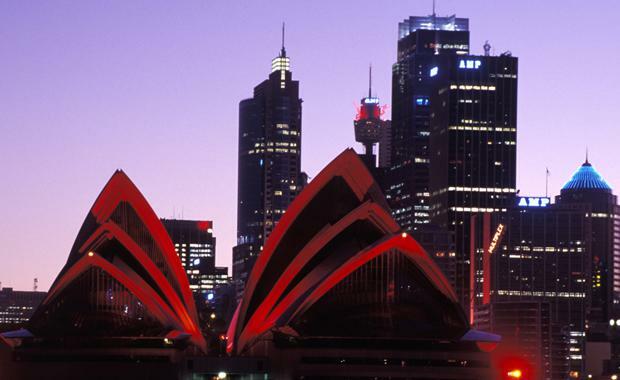 The survey highlights a gradual uptick in the Australian investor appetite to invest offshore. “This is consistent with rising offshore allocations across all asset classes by the Australian managed fund industry and was reflected in increased offshore commercial property volumes last year. The survey findings suggest we will see a similar trend in 2016,” Mr McNabb said. While core assets remain the preferred asset, demand fell from 43% in 2015 to 33% this year. On the flip side, there is stronger interest in value-add assets and good secondary assets – primarily Grade B assets in core locations or Grade A assets in non-core locations. “Purchasers are now looking to move up the risk curve and - driven by a desire for higher returns - have a stronger interest in value add and opportunistic investment opportunities,” Mr Granter said. The office sector retained its position as the most preferred sector for investment (32% of respondents) for the third consecutive year. Logistics follows as the second most attractive sector for investment. The survey also highlights that hotels and resorts have seen a particularly significant surge in interest, jumping from just 1% in 2014 to 14% in 2016. Demand in this sector is particularly strong in Australia and Japan, where weaker currencies have supported strong growth in tourism arrivals, especially from China. Investors seeking higher yields indicated that they will continue to turn to alternative sectors in 2016, with 67% of respondents actively pursuing alternative sectors this year. Real estate debt (20%) remains the most attractive asset type, followed by student housing (17%), healthcare (16%) and retirement living (16%). Self-storage and data centres also received stronger interest from investors this year compared to 2015. A greater number of respondents (58%) identified the domestic and global economy as the greatest threat to the Asia Pacific real estate market this year, compared to last year’s 29%. There is also a growing concern on asset pricing with 38% of respondents identifying this as the biggest obstacle to acquiring assets, an increase from 31% in 2015. Nevertheless, respondents selected capital value growth as their main motivation for investing in real estate. Availability of assets is seen as the second biggest obstacle, though this has reduced from 21% in 2015 to 16% in 2016.